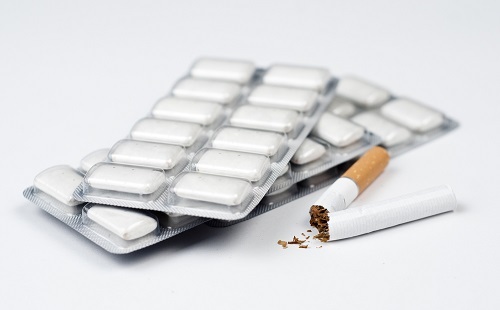 Do You Know The Top 3 Smoking Cessation Methods? Wellworks For You has the most effective smoking cessation methods available today. Are you looking for an effective way to help your employees quit smoking and significantly improve their health? Have you surveyed various smoking cessation methods but don’t know what your best options are? Do you want to know what methods health professionals actually recommend? If so, Wellworks For You can help. We want to share the top smoking cessation methods and how they can help your employees live healthier lives today. Smoking is a powerful addiction and those attempting to quit need significant support. This support needs to come not only from the smoker’s friends and family, but also from a professional who can help him or her navigate the unique challenges of quitting. Counseling is available both in person and over the telephone and can significantly increase a person’s chances of quitting effectively. There are a variety of medications that are also available to assist in the smoking cessation process. These can help to reduce cravings as well as the other symptoms of nicotine withdrawal, significantly increasing the chances of quitting. Medication is most effective when combined with other smoking cessation methods, especially interpersonal support. Individuals interested in pursuing this method should talk with their doctors before beginning any course of medication in order to choose the option that will be safest and most effective for their situation. One of the best ways to initiate a smoking cessation attempt is through informational materials. Understanding both the health consequences of smoking and the incredible benefits of quitting can provide important inspiration for starting this change. Such information can also be invaluable to friends, family members, and employers who are invested in supporting the smoker’s goal of quitting. However, like the previous methods, these materials are most effective when combined with others which can provide continued support over the course of the cessation process. In order to provide the most effective smoking cessation program, it is important to combine more than one of the aforementioned methods. One great example of this is the Smoking Cessation Program by Wellworks For You. Combining educational webinars with health coaching, this program offers the inspiration and support many smokers need to effectively quit over the course of the six week period. For more information about this or any of our other wellness program, contact us at 800-425-4657.